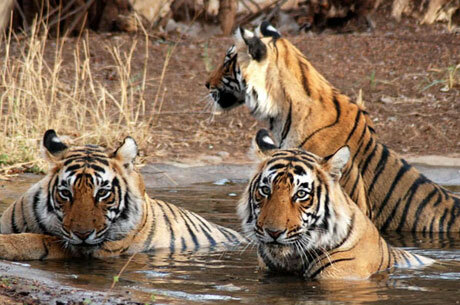 Sariska National Park is located in Aravalli hills one of the oldest mountain ranges of India. Sariska Wildlife Sanctuary was a hunting lodge of former royal family of Alwar. It was given the status of wildlife sanctuary in 1958 and confirmed as a tiger reserve in 1979. 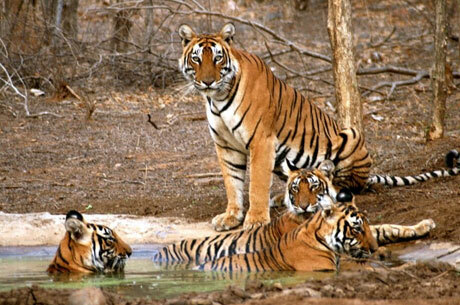 Sariska National Park is located in Aravalli hills one of the oldest mountain ranges of India. Sariska Wildlife Sanctuary was a hunting lodge of former royal family of Alwar. 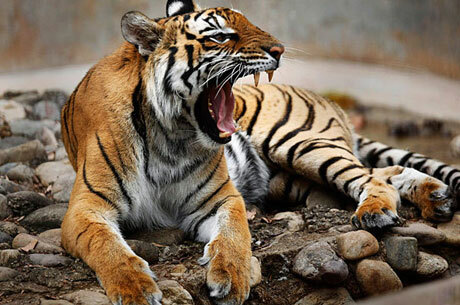 It was given the status of wildlife sanctuary in 1958 and confirmed as a tiger reserve in 1979. It became the national park in 1982. Sariska has a big valley along with two huge plateaus. It is scattered with many historical sites, auspicious places like Kankwari Fort ruins, Nilkantha temple – a 10th century monument, Buddha Hanumab Temple close to Pandupol and Bharthari Temple located close to the park office. Sariska also had cold and hot water springs at Taalvriksh. The beautiful Siliserh Lake is located in North Eastern angle of the park. The jungle of Sariska is dry deciduous having the various planets like Dhak, Ber Acacia and Salar. 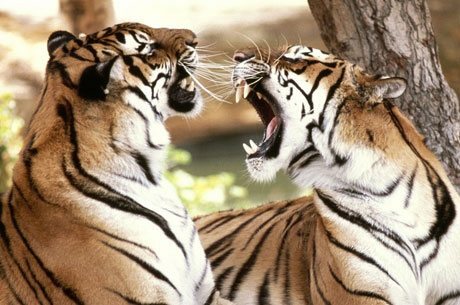 The tigers in Sariska Sanctuary are mainly nocturnal and they are not spotted easily in-comparison to Ranthambhore National Park. 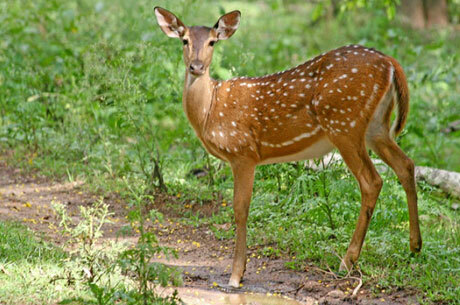 The Sariska has healthy population of Nilgai, Chital and Sambhar. 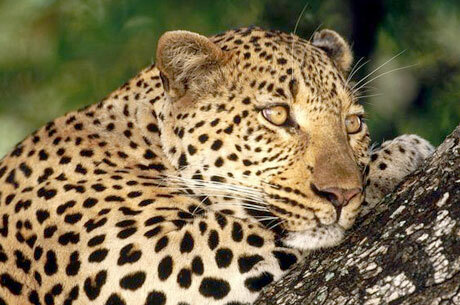 During the afternoon safaris Indian Porcupine as well as Striped Hyena, sometime leopard and Indian Palm Civet are seen. The forests of Sariska become lush green during and after the monsoon season. However, in summer months it lacks the water and due to it the animals go to various water holes located in the national park. During the dry months, the chances to see the wildlife are quite good due to thinplants. Sariska offers excellent opportunities to the bird watchers and is a home of Indian Peafowl. 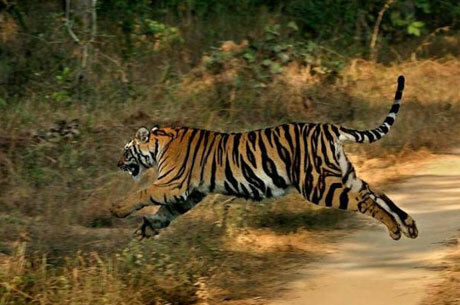 The best time to visit Sariska is from October to June. The park remains closed during the monsoon period. Air: Jaipur is the nearest airport located 110 KMS from the park. Jaipur is connected by air from major cities of India and also has few international flights. Delhi is only 191 KMS away from the park. Train: Alwar is a very important railway station located just 36 KMS away from the park.